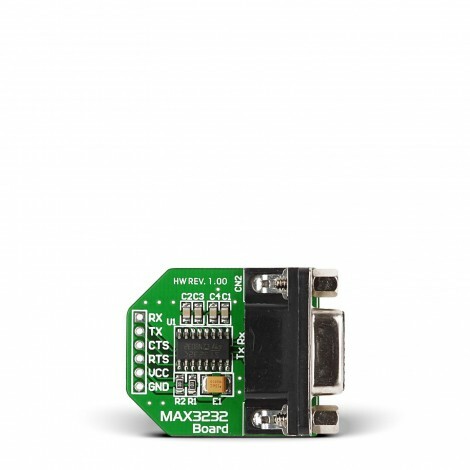 The MAX3232 Board is used for establishing RS232 communication with devices powered from 3.0V to 5.5V power supply. MAX3232 enables true RS-232 performance from a 3.0V to 5.5V operating range. It is guaranteed to run at data rates of 250 kbit/s while maintaining RS-232 output levels. Board is compact and barely bigger than DB9 connector. It has high quality SMD components and prototyping connection pads which enable easy connectivity with your device.